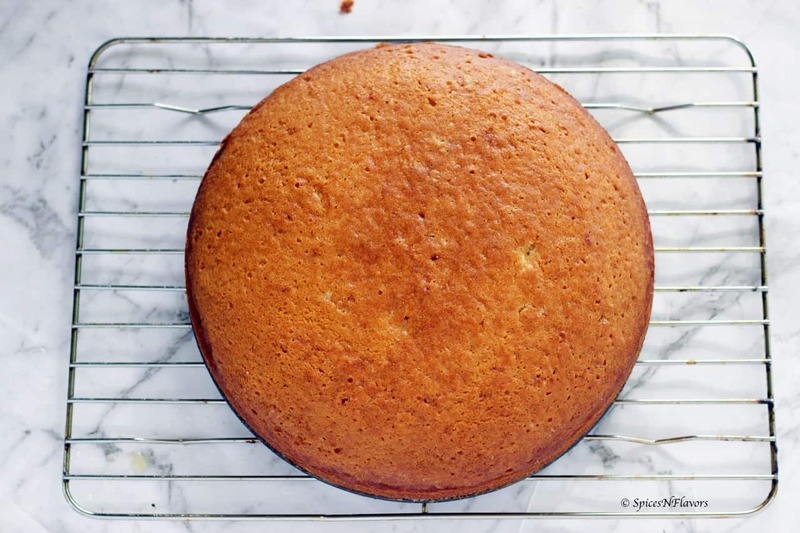 Eggless Vanilla Cake is a very basic cake recipe that you can use to build many other cakes for birthdays or parties or use it as a base to change the flavour and come up with an altogether new recipe. 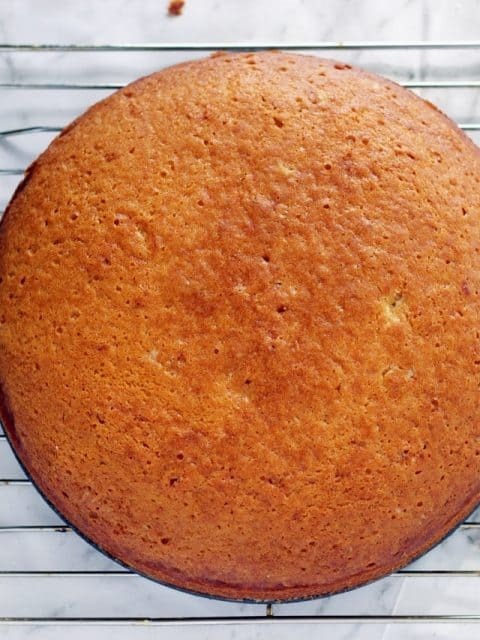 This recipe of Eggless Vanilla Cake is definitely a keeper’s recipe. Do you have a basic cake written down in your recipe diary? If you are new to baking then I would highly recommend you to watch my Beginners Baking Series that has both the Pressure cooker and Oven method of baking. So that you can use these as the base and then start baking with flavours that you like or your family prefer. 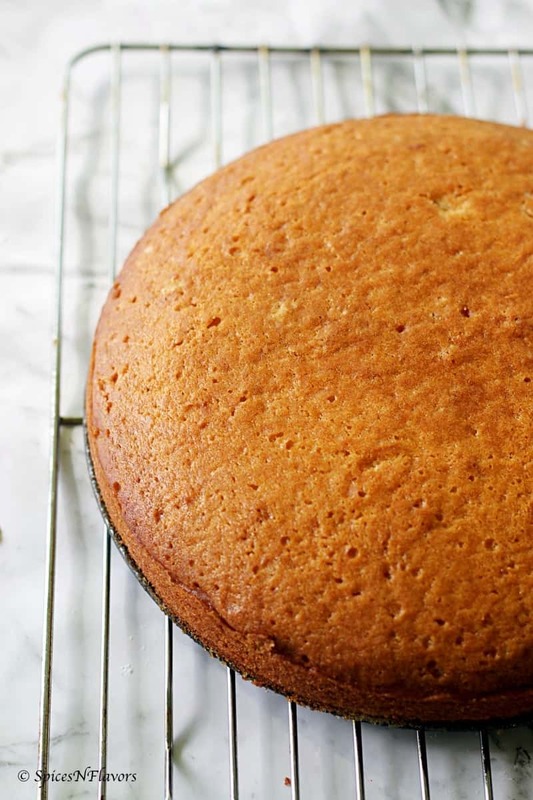 Today’s Eggless Vanilla Cake recipe is so simple that you can make it all in one bowl. Just grab your mixing bowl; add the dry and wet ingredients, mix, transfer to a baking dish and bake. Can it be more simpler? OR best you can mix everything directly in the baking pan itself. Just like how I am doing. So what I did is I took an 8 inch baking pan; that I have greased with butter and lined with parchment paper. To that I then added sugar and my wet ingredients – Water, Oil, Lemon juice and vanilla extract. Then just mixed it all well and baked in my preheated oven. If you are not confident of mixing everything in the baking pan itself you can always mix it in the bowl and then transfer. So you might be wondering why haven’t I shown an image of cut slice? So now that I have not sliced it wondering how does it taste like? This recipe is adapted from my One Bowl Eggless Chocolate cake so ofcourse I am sure that this is a very moist and soft cake. Ofcourse not spongy and airy like my pound cake but definitely good enough to form the base for that special occasion. The key my friend is to use a good quality vanilla extract as that is what gonna add the flavour to it. If possible try to include the fresh beans or an extract that has beans in it. 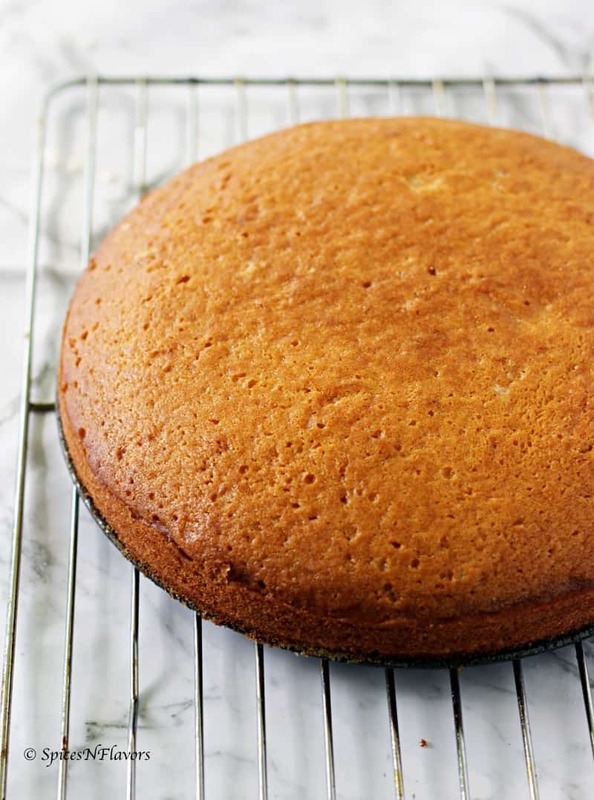 Here is the detailed recipe of this delicious moist and soft Eggless Vanilla Cake. But before that if you like or try this recipe then do tag me, tweet me or instagram me; I would love to follow you and your posts. Bake in the preheated oven of 180°C for 30 mins. 2. Do not over mix the batter. Indeed baking this cake is like a breeze.. Its super easy.. This is my first attempt at baking a cake . Thank you . It is just taking longer than 30 mins. Thank you for taking the time out to try this cake..
Hope your oven temperature is at the required temperature. This cake should not take more that 30-35 mins to make. How long did you bake this for?? Please tell me. How many gramm is one cup? 1cup is 200ml or 240ml??? I have already mentioned the recipe proportions in detail in the post itself.. May I please know what exactly are you looking for?? I don’t have lemon juice! Could I replace it with something different? Maybe a raspberry extract or lime juice? 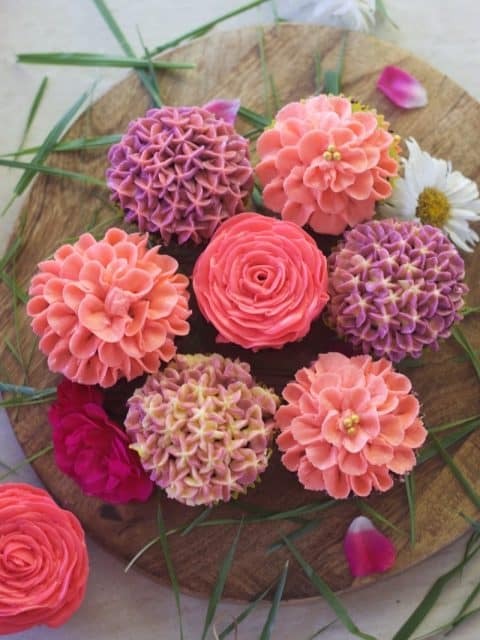 Would these work as cupcakes? Hello, what type of oil should be used? Any kind of oil can be used.. Canola, olive or even vegetable oil. will it be moist enough for cream based and buttercream based cakes ? I will certily try making this cake. Should I add baking powder or just soda is enough for this recipe?? It came out perfect! And the best part – Cleaning the kitchen was a breeze!!! 😁 I just made 2 changes. I added vinegar instead of lemon juice and milk instead of water. THANKS A TON!! sounds perfect Chinju.. so glad to learn that you liked the ease of making this cake.. In the recipe you said to use baking soda, but in the questions you said baking powder. Which should it be? I’m anxious to try your recipe. I made an eggless cake using condensed milk and was not happy with it – it was tough. So I’ll try yours. It sounds delicious. Very simple cake. I️ made 2 adjustments, added cinnamon cause I️ didn’t have vanilla and added a pack of hot cocoa powder. 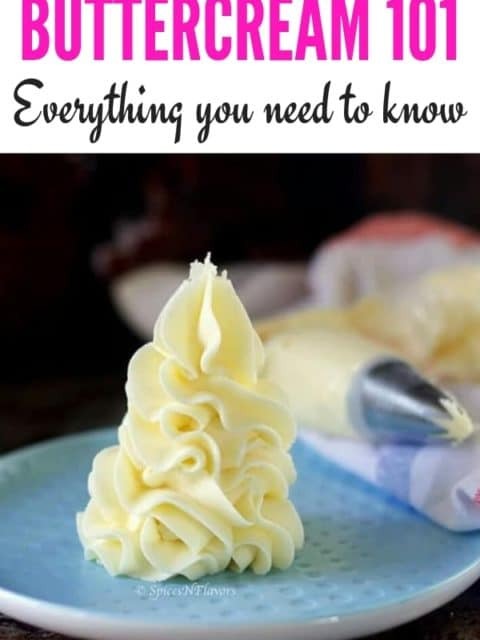 Cream cheese icing on top. Tasty, quick and perfectly baked. That sounds great Janette.. I am glad you worked out your own way..
Can I use flour instead of maize? 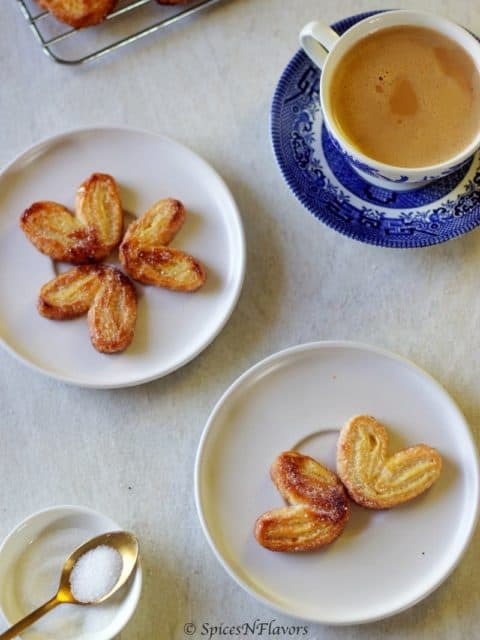 So glad to learn that this recipe resonates with what you are looking for. I hope you give it a try someday. I have tried your recipe, it’s good but there is just one problem i.e. i can smell and taste baking soda in the cake when i have put in the exact quantity of baking soda that you suggested. Could you please help mè? Thank you for taking the time out to try this recipe and share your feedback with us. Have you ever faced this problem before with other baked goods? Because sometimes the brand of baking soda also affects the outcome. Also, it is always advisable to scoop out the soda and level it off using a knife for exact measurements. Did you try sieving the dry ingredients together? Sometimes that also affects. Usually, the taste lingers when there is too much soda or the soda was not mixed in properly. I am sorry you had to face this. But I will take your point into consideration and note the results the next time I bake it. Have you ever noticed this problem with some other cakes? Try changing the brand of baking soda is what I can suggest as you have measured and used it properly in the recipe. Hi I wanted to ask if this will work to use honey instead of sugar?my husband does not eat any sugar.thanks a lot will be appreciated! Hi Joy you can try and substitute 1 cup sugar for 3/4 cup honey.. I am not sure how it would taste as personally I have never tried it. You can try and share your feedback with us. Hi, I’ve been trying out many eggless cake recipes and it did not work out. Yours did..definately keeping this. Hi, I was very excited to find your recipe and to try it out! I do have a couple questions though. I am not familiar with Maida. Can I substitute all purpose flour for it? If so do I use the same measurement? Thanks so much!! First of all thank you so much for taking the time to try the recipe and share your unbiased thoughts with us. About the soda part have you ever experienced the same with any other recipe? Maybe try using a different brand of soda or another alternative is to increase the amount of vanilla essence in it. I received this comment from another reader as well but I have baked this cake countless time and never experienced any maybe next time I will pay attention to the smell and see. Every oven is different. So maybe you could have baked it little longer. Always do the toothpick test that way you will be sure that it is baked through and the center is not wet. Can this cake be made without the lemon juice? Hi can I use pureed berries or any other fruit, chia seeds, cinnamon n cranberries with the same measurements or will it change? How can I make it more healthy n interesting, the vegan way? Yes you can definitely use any add ons like cranberries, cinnamon, chia seeds, tutti fruity, nuts of your choice etc like the way you mentioned in this recipe. And definitely fresh fruits can also be added but I guess adding pureed berries would increase the baking time of the cake I am not sure how that would work. To make it interesting you can add any other flavours too like pineapple, butterscotch etc or any nuts like you mentioned. Can I use all purpose flour instead of Maida? Would the measurement be the same? Yes milk would totally make this cake even more softer and moist. So glad to know that the substitutions worked well for you and you enjoyed the cake. Thank you so much for sharing your wonderful feedback with us.. Really appreciate it. I have made this cake 3 times, trying different flavor extracts each time. Every time, the cake has been perfect! I have been using half water/half milk, also. This is a very quick, easy recipe for a delicious cake. Thank you! Totally milk would make it even softer.. I am so glad to learn that you like the recipe and all the different flavors are working out for you.. Thank you so much for sharing your feedback with us that would be helpful and useful for many who would like to try this cake. I have tried your recipe. The outcome is awesome. Totally flawless. Only one thing I would like to ask can I replace lemon with vinegar? If yes then shall I tell vinegar also 1 tbsp? That sounds amazing.. so glad to learn that this recipe worked perfectly fine for you.. Thank you for an amazing feedback. Yes, you can use vinegar in place of lemon juice. 1 to 2 tsp of vinegar is fine.